The UCLG World Council, held in Madrid, in the framework of the World Forum on Urban Violence and Education for Coexistence and Peace, gathered over 400 local government officials from more than 35 different countries, at the invitation of Mayor Manuela Carmena. The day also saw the Business Sessions of both the UCLG Executive Bureau and the World Council. Parks Tau, President of UCLG, chaired the Business Session of the UCLG Executive Bureau along with Co-Presidents Mauricio Rodas, Mayor of Quito, and Ada Colau, Mayor of Barcelona. The Business Session of the UCLG World Council was chaired by Roland Ries, Mayor of Strasbourg and Co-President of UCLG, and UCLG Treasurer Berry Vrbanovic. President of UCLG Parks Tau analyzed the work of the World Organization during the year, highlighting the work of the Work Areas of the World Organization in regards to international advocacy and monitoring of the Global Agendas, as well as the work of UCLG as a Learning Network.The role of local governments in peacebuilding and managing migration, local finance and gender equality s were some of the issues that took the stage during this event. The day also saw the Business Sessions of both the UCLG Executive Bureau and the World Council. 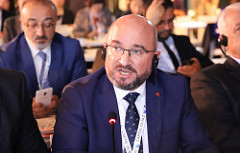 Parks Tau, President of UCLG, chaired the Business Session of the UCLG Executive Bureau along with Co-Presidents Mauricio Rodas, Mayor of Quito, and Ada Colau, Mayor of Barcelona. The Business Session of the UCLG World Council was chaired by Roland Ries, Mayor of Strasbourg and Co-President of UCLG, and UCLG Treasurer Berry Vrbanovic. 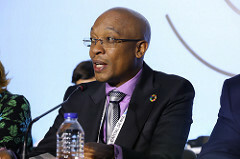 President of UCLG Parks Tau analyzed the work of the World Organization during the year, highlighting the work of the Work Areas of the World Organization in regards to international advocacy and monitoring of the Global Agendas, as well as the work of UCLG as a Learning Network. The World Council appointed Uğur İbrahim Altay, Mayor of Konya as Co-President of UCLG, after having assessed his candidacy, and President Parks Tau encouraged members to participate in the UCLG World Congress, which will take place in Durban in 2019. “I am proud to have such an important role in our Organization, and I will work tirelessly to reach the joint goals of UCLG." Mahmut Sami Sahin, Deputy Mayor of Konya. 2018 has been a year of partnerships for UCLG, and the following year will also see us continue to build and enhance partnerships. The World Council reflected this focus, with presence from the European Commission, sister organizations such as Cities Alliance, and organisms from the United Nations such as the United Nations’ Capital Development Fund (UNCDF), the United Nations’ Development Programme (UNDP), UN-Habitat, or the United Nations’ Global Compact Cities Programme. Other partner organizations such as the International Association on Public Transport (UITP), the International Organization for Migration (IOM), the World Health Organizaton (WHO), Public Service International (PSI) or World Enabled also accompanied us during the World Council.CGLU a renouvelé sa collaboration avec SUEZ Environnement, avec lequel l'organisation collabore depuis 2011, avec la signature d'une feuille de route triennale axée sur la recherche et les relations institutionnelles, qui permet de formaliser véritablement le partenariat entre les deux organisations. UCLG renewed its collaboration with SUEZ Environnement, with whom the organization has collaborated since 2011, with the signature of a three-years roadmap focusing on research and institutional relations, which provides an opportunity to truly formalize the partnership between the two organizations. Members of the World Council analysed the 2019 Work Plan and the advocacy strategy towards 2019, which will focus on building dialogues with national governments, the United Nations and multilateral institutions, emphasizing our capacity to complement policies in order to be seen as partners for transformation. The various UCLG Committees, Working Groups, Communities of Practice and Fora also presented their work plans to the World Council. “The UCLG Presidency would like to acknowledge the important commitment of the different parts of our organization and, in particular, to our members for supporting our advocacy and joint action. It is important to keep everybody involved if we want to ensure we continue making progress when it comes to facilitating the political voice of the constituency” Berry Vrbanovic, Mayor of Kitchener and UCLG Treasurer. Eric Beaume, Head of Cooperation of the European Commission, further highlighted the work that had been done with our Strategic Partnership, and praised the Work Plan of the World Organization for the following year. 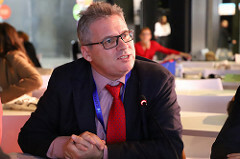 "The political agreements between our institutions have yielded positive results, and it is is our wish to renew our commitment and strengthen the links between UCLG and the European Commission" Eric Beaume, Head of Cooperation of the European Commission. 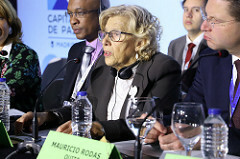 Manuela Carmena opened the session of the Executive Bureau and called on the members of the Network to fight, side by side, to help their communities and to accomplish cities of peace and put a stop to urban violence, and acknowledged the World Organization as key for building cities of peace. 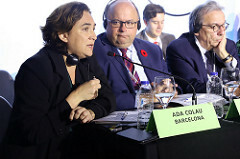 Ada Colau, mayor of Barcelona, acknowledged the effort of the network of cities of UCLG in positioning the right to adequate housing in the international agendas. “Mayors are well aware that violence is a virus that affects are coexistence. It is essential for cities to come together, since what happens in a city always impacts other cities, and only if we place our joint efforts in drafting policies that directly address violence, will we able to reduce it”. Manuela Carmena, Mayor of Madrid. Le Bureau exécutif de CGLU a encouragé ses membres à adhérer à la Déclaration des villes pour le logement, qui a été présentée au Forum politique de haut niveau, et a débattu et défini plus en détail les mesures à prendre pour l'appel à l'action. “We defend the right to the city, and the right to housing and this is why we call for more competencies for local governments. We need resources for public housing parks to ensure that our citizens live in the city. We need housing alternatives to contribute to economic and social stability.” Ada Colau, Mayor of Barcelona, UCLG Copresident. The localization of the Sendai Framework, the Agenda of Intermediary Cities, and the role of UCLG in the final steps of the Global Compact on Migration were also some of the key topics addressed during the Bureau. The development of a Peace Agenda and a Manifesto on Peace, which had been in conversations since the Executive Bureau on Strasbourg, were further discussed, signalling the importance that these issues have within the municipalist movement. 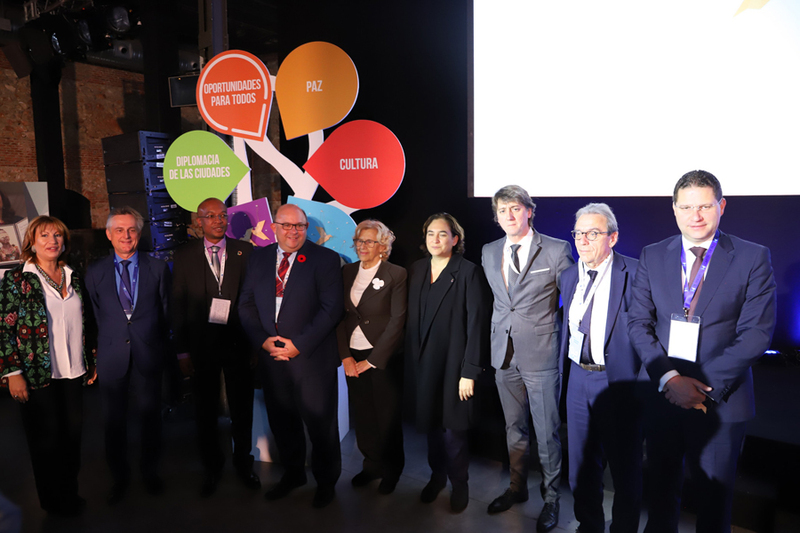 The UCLG Regional Sections shared their highlights of the year and further presented their priorities for 2019 at the end of the session, and the Bureau took note of the UCLG Strategy on Localizing Finance, which has been developed throughout the year. Climate Action, International advocacy -beyond even the United Nations- and Local Economic Development are three areas that have seen a special growth during the year, and the Executive Bureau highlighted these areas and the spaces of dialogue that are opening for local and regional governments in the international spheres. The next UCLG Retreat and Campus, which turns five in 2019, will take place in Barcelona from 11 to 15 February 2019. The next Executive Bureau will be hosted by the City of Montevideo, and will take place on April 6, after the Culture Summit, which will take place from April 4-5 in Buenos Aires and will host the UCLG Policy Council Debates and other sessions. The 6th UCLG World Congress, the largest gathering of local and regional governments in the world, will be organized jointly by the South African Association of Local Governments (SALGA) and the eThekwini Municipality - City of Durban from 18-22 November 2019. Read the Commitment to the Agenda of Cities for Coexistence and Peace.